East Ends – What’s The Furthest Place From Here? 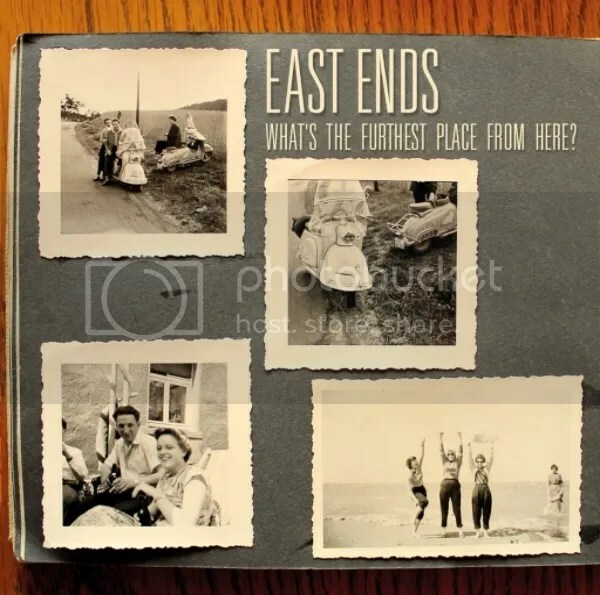 East Ends’ new EP, What’s The Furthest Place From Here?, is reminiscent of summer pop punk and indie anthems from the early 2000s. Ash, The Ataris and The Gaslight Anthem all come to mind when listening to different tracks on this record. The Dortmund-based band has a simple sound, with big and fuzzy yet light-touch guitars dominating the audio. Reverby, almost Coldplay-like lead parts make up the bulk of the music – there is a minimal rhythm section save for a couple of tracks. The vocals are well recorded and sit well in the mix. The lyrical content of this EP offers nothing new to the discerning listener of 2000s pop punk. This is not always a bad thing, but be advised, you will not be hearing a treatise on the political state of the EU here. This is a record about girls, being sad about girls and moving house away from girls. There are a lot of clichés throughout the five tracks. Not a bad effort for singing in most likely a foreign language, something I could never do, despite what singing gibberish along to Sigur Ros in the flat might let me think. Stand out tracks for me are ‘West of Budapest’ and ‘Teenage Urgency’. ‘Teenage Urgency’ is a lament for all our collective teenage selves. It details the regret that can haunt us past our teenage years. ‘West of Budapest’ is another longing call to yesteryear. The repetition in the lyrics seems to me to invoke rolling waves, long journeys and recurring sleepless nights. All in all, East Ends are worth a listen if you like simple and accessible pop rock music. Not to my taste, but not badly done either. This entry was posted in Reviews and tagged acoustic, album, east ends, ep, gaslight anthem, indie punk, punk, record, review, What’s The Furthest Place From Here?. Bookmark the permalink. 3 Responses to East Ends – What’s The Furthest Place From Here? I like your review style, Andy. Very authentic :). Would love to feature your reviews in our weekly curated email digest that goes out to thousands of people. Thanks! No problem, what’s the digest? As long as you link to the site 🙂 email scenebetterdays@gmail.com if you want to discuss more.